When May Kimball finally left her abusive drunken husband, taking her children Polly and Ben with her, Polly took a lamp back into the house for one last look at the father she hated. Teenage Polly dropped the lamp, burning the house to the ground and killing her father. May took her children to the safety of the nearby Shaker religious community, and left them there. Polly was taken under the wing of another young girl, Charity, who had been raised as a Shaker her whole life. Charity was a devout believer who had been ostracized for a skin condition. Meanwhile, fire inspector Simon Pryor was looking into the fire on the Kimball farm. His plan was initially to help his corrupt employer buy the property cheaply. As Simon Pryor dives more deeply into the issues of inheritance on the farm, he begins to question his own motives. All the while, Polly is moving towards her moment of truth. Is she really a Visionist? Has Charity’s faith been misplaced? What will happen when the whole truth is finally laid out? The Visionist alternates narrators between Charity, Polly and Simon Pryor. To be honest, at first I skimmed Simon’s chapters because I wanted to read more about the growing friendship between the girls. But as his story unfolded, he developed into a very interesting character. The Visionist excels in two areas. The first is the characters. Not only are Polly, Charity and Simon well-written, but there is a whole cast of supporting characters that are well developed with just a few lines. The second is the portrayal of the Shakers. It is clear that Urquhart did extensive research into this historical sect. It would be easy to portray them with skepticism, but she treats them with warmth and respect. The details of Shaker life make this book come alive. 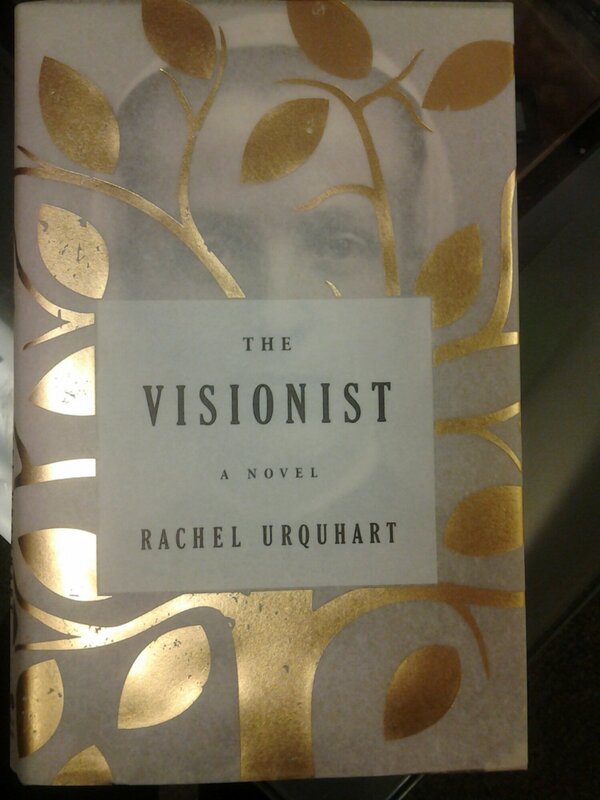 The Visionist is an outstanding first novel. I hope the author writes another one just as good, because I would like to read it. This entry was posted in Fiction and tagged book review, deceit, faith, family, friendship, history, Shakers, visions. Bookmark the permalink. Sounds like a great read. I love your explanation of the characterization. As a literary blogger, I’m always looking for great new reads. Next on my list maybe!